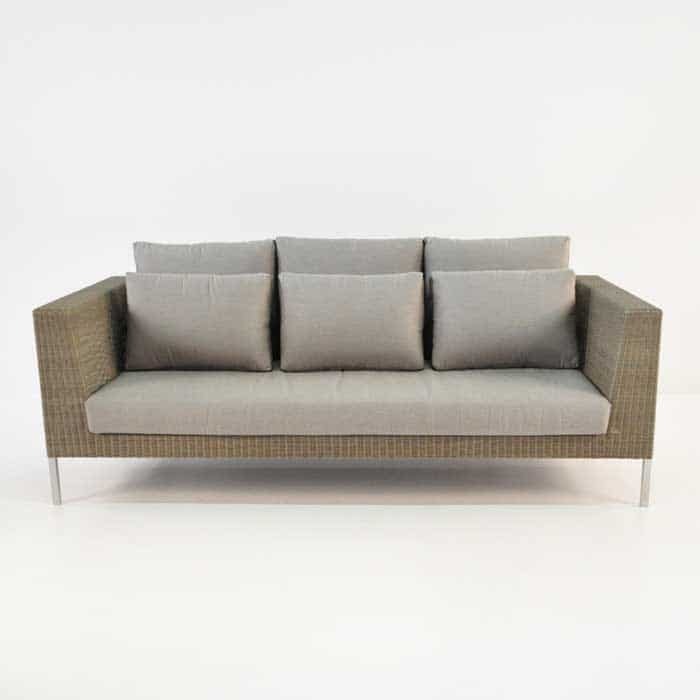 Create an elongated, dreamy feel with the grandeur of the Madison Outdoor Sofa. 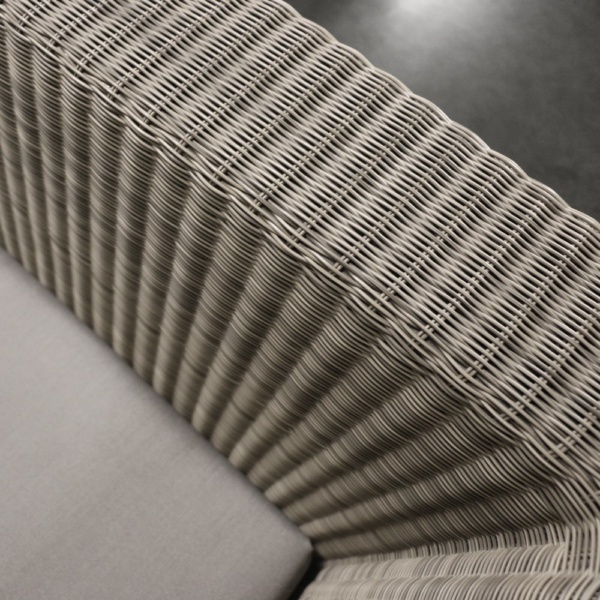 Part of the incredible Madison Collection; ambitious, dignified and lofty without being overstated. The Collection features a slick, linear frame, offset and complemented by the extra cushions in a stunning shade of Dove. 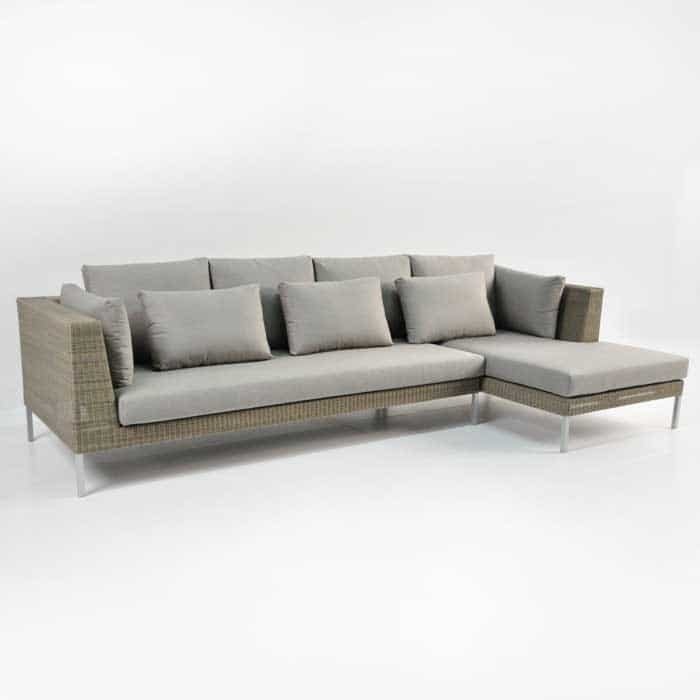 The Madison Outdoor Sofa stands proudly at 218 centimeters long by 96 deep; perfect for hosting throngs of friends or just for relaxing after a long day. 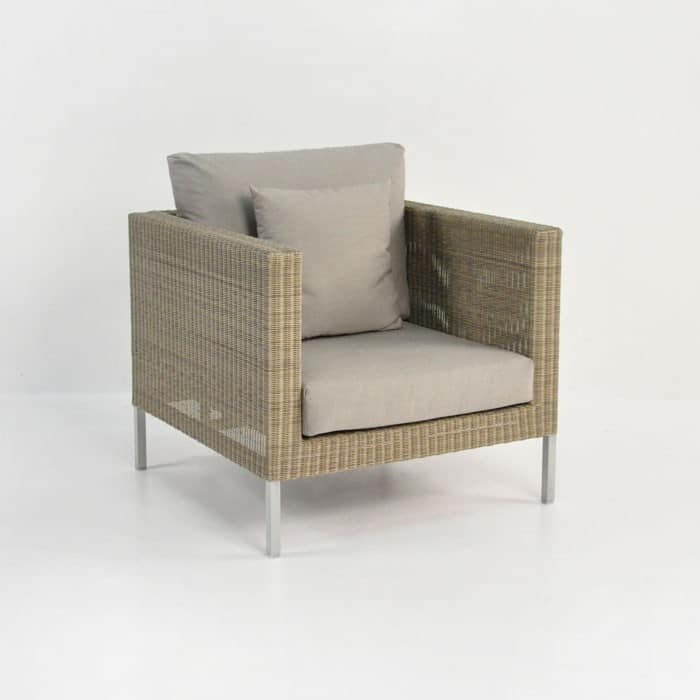 Pair it up with the Madison Combo for a magnificent set-up, ideal for larger gatherings. 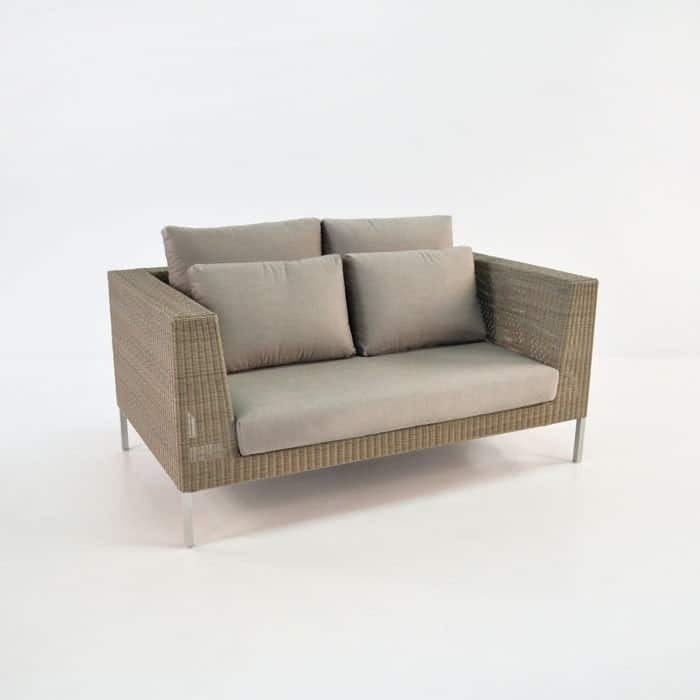 Or create a more traditional look with a couple of Madison Large Outdoor Chairs, facing inwards on either side and top the look off with the beautiful square Madison Coffee Table. 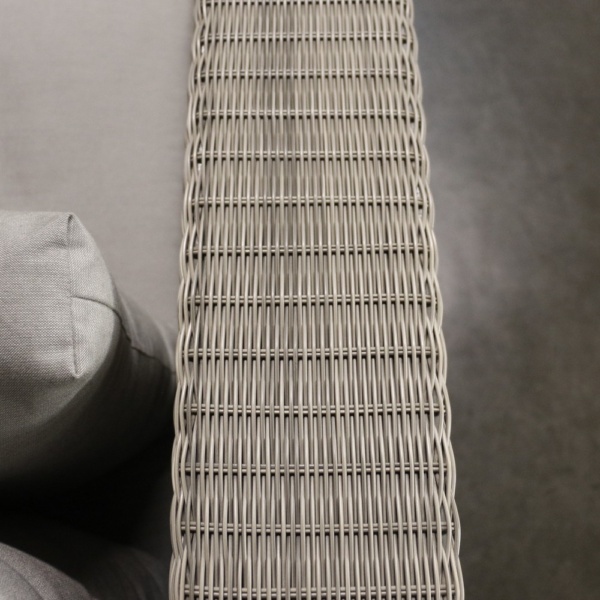 Delicate looking with a beautiful, dainty weave and soft, plump cushions, you’d think all this pleasing, comfortable furniture would be fragile. 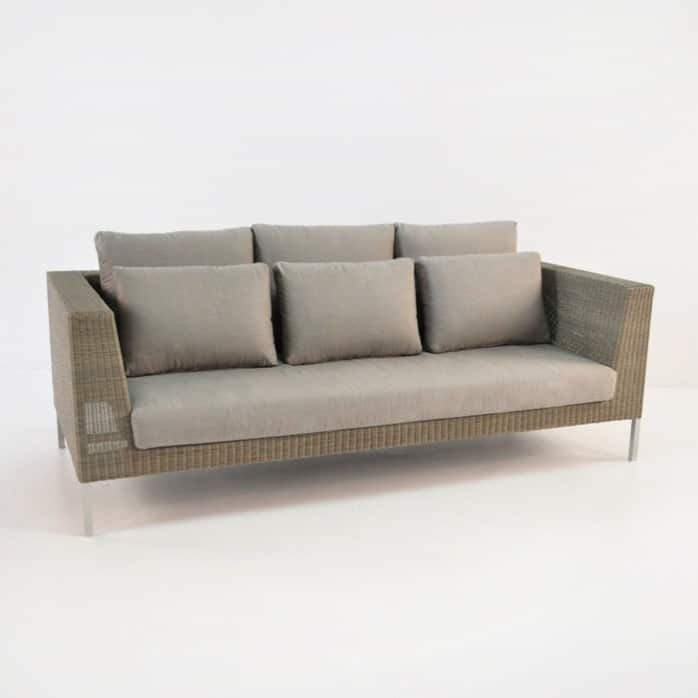 May we proudly correct the assumption; made out of the hardy, all-weather Viro® wicker, powder coated aluminium and layered with plush Sunbrella® cushions filled with Quick Dry foam; the Madison Outdoor Sofa looks good now and will look good for many years to come! 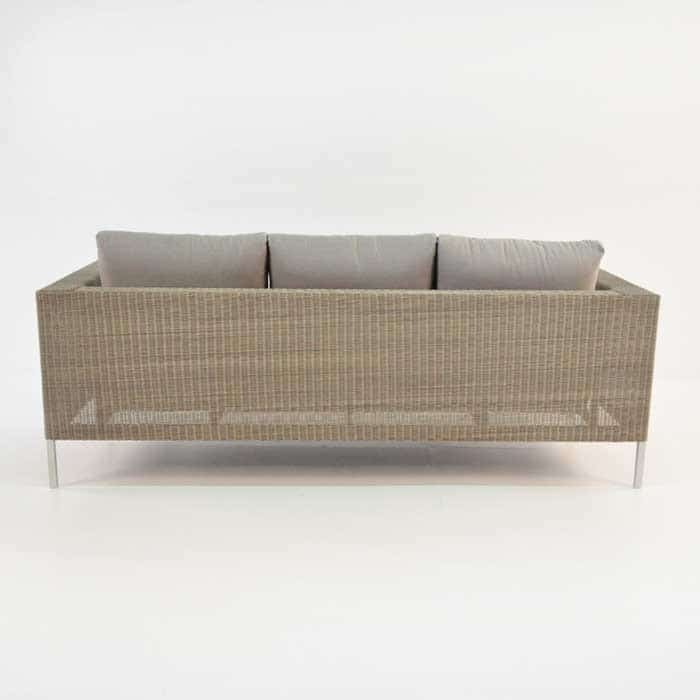 The Madison Wicker Outdoor Sofa comes with FREE Sunbrella® cushions! Cushions are available in Canvas and Taupe. Colour Shown is Taupe.